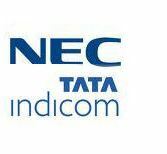 Tata Indicom Broadband, India’s Premier Internet Broadband Service from Tata Communications has announced an alliance with NEC India Pvt. Ltd to offer integrated solutions for education and hospitality industries. Tata Indicom Broadband will offer special discounts on a bouquet of related value added services , Wi-Fi, Dial-up and other services like gaming, movies, music, anti-virus, etc. on a single account. NEC offers solutions and services for ubiquitous networking supported by Next Generation Network (NGN) and IT integrated technologies.which will expedite the empowering of educational institutes and the hospitality industry. It’s our constant endeavor to offer integrated technology solutions which benefit both the hospitality and education fraternity. Going forward in the same endeavor, we are partnering with NEC to offer our bouquet of communication products and technology solutions to these sectors,” said Mr Mehul Kapadia, Head Sales and Marketing for Tata Indicom Broadband. Speaking on the tie-up Mr Rajiv Bhalla, Country Head Sales and Marketing, NEC India Pvt. 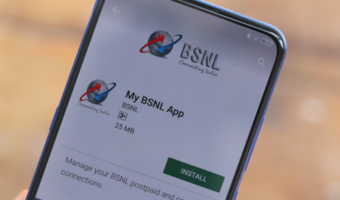 Ltd. said, “We are excited to announce our tie-up with Tata Indicom Broadband. We collectively aim to fortify the education and hospitality sectors with latest and superior technology & custom-made solutions. Our alliance with Tata Indicom Broadband will facilitate us in strengthening our business capabilities in India and also to expand our IT and networking businesses in the rapidly expanding Indian market”. do u know while other operators offer voice sms at 75p, tata indicom costs 80p !